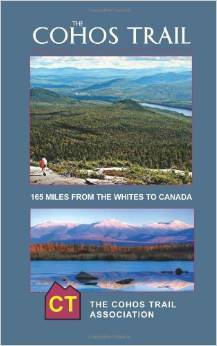 Cohos Trail – New Hampshire – F.A.Q. HOW LONG IS THE COHOS TRAIL? The Cohos Trail is a system of pathways and spur trails. If hiked without investigating some of the spur trails, the CT is nearly 165 miles long. However, most hikers take in a number of the spurs, such as summiting North Percy Peak, Mt. Isolation, Mt. Eisenhower, Sugarloaf, Deer Mountain, and so on. Most trekkers tend to average 170 to 175 miles. If you took in all the spurs and the return trips on those spurs back to the main pathway, your journey could approach 190 miles. HOW LONG DOES IT TAKE TO HIKE THE COHOS TRAIL? Most hikers manage the Cohos Trail in twelve to fourteen days. More than a few have completed the hike in nine or ten days. The fastest trek was completed by a runner, who finished in just under four days. Most do not complete the trail all at once but walk it in stages or sections. Check out blogs and posts on Facebook (Friends of the Cohos Trail Facebook Group) as they can give you a good idea of the distances folks have hiked in their trips. The Cohos Trail can be an arduous trek in some areas, but on average, the long pathway is not terribly difficult, terrain-wise. The real difficulty lies in resupplying along the route. There are very few stores and towns along the way, so shipping caches ahead or dropping caches at critical points is a must. Between Jefferson Village and Happy Corner in Pittsburg, a distance of nearly 90 miles, there is no store within three miles of the route. Also, during very dry summers, it can be tough to find adequate water on the high ridges in the Kilkenny and between Gadwah Notch and Dixville Notch. IS THERE CELL PHONE SERVICE ON THE TRAIL? Yes and no. In recent years, new towers have been erected in the region, so cell phone service is better than ever from Dixville Notch south to Crawford Notch. However, there are dead spots in the mountains, and there are great stretches of limited or no service at all north of Coleman State Park in Stewartstown. WHERE MAY I CAMP ON THE COHOS TRAIL? Hikers may camp legally on the Cohos Trail over its entire length now, provided you stay in designated sites north of Route 110 or follow guidelines set out by the White Mountains National Forest south of Route 110. In the Whites, you may camp in the forest in most locations provided you set up your tent 200 feet away from trails. North of Route 110, you may stay at five Cohos Trail shelters, the Percy Loop Camp tent site, and at three NH state campgrounds and private campgrounds, too. Facilities tend to be within a day’s hike from one another. CAN I BUILD A CAMPFIRE ON THE COHOS TRAIL? No. Fires are strictly forbidden on the trail. Anywhere in New Hampshire, you must obtain a permit from the warden in the local community to kindle a fire outdoors any time within the boundaries of the community you are in. That’s impossible to do when hiking in the backcountry, of course. So, no fires. Period. WHAT IS THE WEATHER LIKE IN THE NORTH COUNTRY? The Cohos Trail winds through New Hampshire’s northernmost county, all of it in mountainous terrain. Coos County is, on average, five to ten degrees cooler than in southern New England. There is less available sunlight, in general, and there tend to be higher levels of precipitation in the spring and much of the summer than elsewhere in New England. As you climb in elevation, expect temperatures to fall as much as five or six degrees for every 1,000 feet of elevation gained. Ice and snow have been recorded in the mountains in every month of the year. So you must prepare for cool, even cold temperatures in summer and fall, and you must have, at the very least, a good rain poncho in your pack. In late spring, black flies can be a real nuisance along the entire route of the Cohos Trail. Ticks tend to be confined to lowland regions in habitat favored by deer and moose. Mosquitoes are omnipresent in the lowland marsh and bog regions but are rarely a nuisance on the ridges and peaks. Biting deer flies and horse flies are somewhat common in lower terrain. Best to wear a broad-brimmed hat to keep them away from your neck, head, and face. In August, most biting insects have retired for the year and the month is largely bug-free. WHAT IS THE MOST RECENT MAP AND GUIDEBOOK? 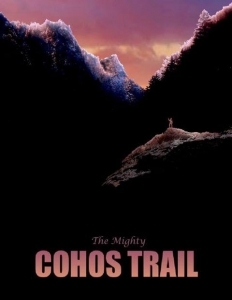 The Cohos Trail Guidebook and data books in our online store are always the most recent editions. The 4th Edition guidebook is sold through Amazon. Bondcliff Books distributes it as well on their website and through local shops. The 2017 Edition Cohos Trail Map is the most current map. There have been no changes to the trail since the 2017 map was printed. ARE THE MAP, GUIDEBOOK, AND DATABOOKS AVAILABLE IN NEW HAMPSHIRE STORES? If you cannot wait for shipping from our online store, there are limited quantities of these items available in stores in Northern NH, and distributed and sold by Bondcliff Books in Littleton. IS THERE TRANSPORTATION OR SHUTTLE SERVICE I CAN TAKE? Northern Coos County has no mass transit whatsoever. You can catch a bus from southern points up to Gorham, Littleton, or North Conway. But that’s as close as you can get. Nancy Spalding who runs the Stark Village Inn does provide some shuttle service as well as accept caches. She can be reached at 603-636-2644. Trail Angels Hiker Services shuttle out of Berlin, NH offers services to trekkers. Give them a call or text at 603-326-6282. There are general stores directly on the trail at Bretton Woods, Jefferson Village, and at Happy Corner in Pittsburg. The three State campgrounds directly on the trail have some edibles but the variety is extremely limited. Without question, you will need to send caches ahead, or drop caches at designated areas of your choice. The Stark Village Inn, 2.5 miles west of the trail, is a must drop point. It is run by Nancy Spalding. She can be reached at 603-636-2644. Most Cohos Trail thru-hikers drop caches with Nancy. You may contact the Applebrook B&B at 110 Meadows Road right on the trail route in Jefferson at 603-586-6008 or email the innkeepers at [email protected]. A Peace of Heaven B&B in Millsfield three miles east of Dixville Notch may help you. Call 603-482-3443. At Happy Corner in Pittsburg, NH is Young’s Store, directly on the trail. It is the only full-service market whatsoever on the Cohos Trail. Once you reach Young’s you should be all set if you are traveling north. If you would like to drop and hide caches, the most logical places to do so are in the Dixville Wayside area on the east side of Dixville Notch, in the Bell Hill bridge location just off Route 110 in Stark, near the Owls Head trailhead parking lot on Route 115 in Jefferson, and near where our Round Pond Brook Trail and Bog Bridge Trails meet at the Route 3 pullout just inside the Connecticut Lakes State Forest boundary in northern Pittsburg. Call 911 if cell signal allows. They will pass the situation on to the appropriate people. Mountain Rescue Service out of North Conway – [email protected] – is a highly skilled team of volunteers who perform rescues in the White Mountain National Forest. Go to their website to learn more. You must be aware that backcountry rescues are expensive and you may incur costs for the services provided. You may buy a NH Fish and Game Hike Safe card for $25 per person or $35 per family to guard against liability for costs in the event of a Fish and Game Department rescue. Find out details at HikeSafe.com and purchase a card from NH Fish and Game. HOW DO YOU PRONOUNCE COHOS ANYWAY? Be sure to check out our Facebook Group, Friends of the Cohos Trail. We post there almost daily. If things are going on, they are going on on that Friends page. You may meet people there and post information or questions about the trail. Remember, The Cohos Trail is a wild trail in a million acres of mountains and forests. It’s for those who really, really want to get away from it all. It’s a trail where you can test yourself, and a trail where you can find real solace, the sort of peace you might have experienced had you arrived here 1,000 years ago. Leave your world behind and enjoy the peace and solitude of the trail and the occasional chat with a moose.